At the end of The Wizard of Oz, Dorothy clicked her heels together to go back home. 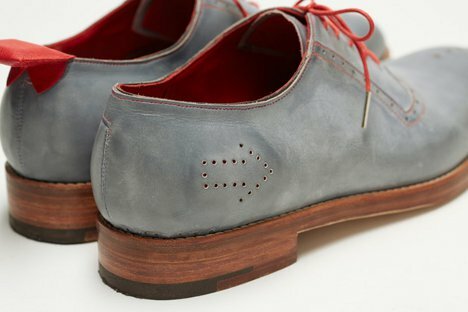 These shoes designed by Dominic Wilcox are similarly designed to get you home, though maybe not as quickly. A GPS system in the heel of the left shoe shares a wireless connection with the right shoe. The right shoe has a number of lights which display how far away home is and which way the user needs to walk in order to get there. The navigation feature of the No Place Like Home shoes is activated by clicking the heels together. Lights on the shoes show exactly how to get home, step by step. If you move to a new address or want to be guided to a different destination at the end of the night, the USB connection and mapping software make the change simple.